The fact of the matter is, we are all vulnerable, emotionally and physically. At any time, our lives can change without any notice or warning, sending us into a complete tailspin. We look for security in our routines, loved ones, and in our partners, but if you are facing divorce; who you are is about to change. Divorce is trauma because it changes our identity, our sense of self and self-image; all the ways we think about ourselves and describe who we are to others. It can feel like a free-fall until we land on our feet again. As a Therapist and Divorce Coach, I have seen first hand the damage divorce can inflict on some families. It became important to me to offer support to clients and to let them know they have choices about how they get through the divorce process. That is why I felt compelled to open the San Diego Divorce Counseling Center. As a therapist I found techniques to help clients debrief their trauma. I learned and teach new skills designed to assist clients in coping with, and strengthening, that vulnerable part of themselves through their divorce. I consider it a special privilege to walk alongside my counseling and coaching clients as they work through their divorce and the reformation of their family. While divorce is going to have changes in your life, it is important to know, you have choices and things will get better. Over the past 20+ years as a therapist, I’ve had great success with hundreds of families going through divorce and facing child sharing challenges. As a therapist, clients are able to debrief their trauma and focus on mindfulness; being present in the moment, not worried about the past or the future. Clients also learn to tolerate distress, how to regulate emotion, and most importantly, have their concerns validated with the goal of being heard and understood. 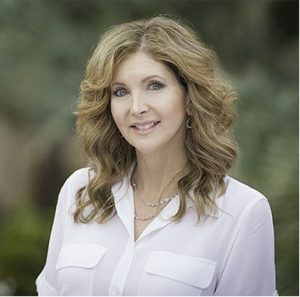 As a former Family Court Counselor, I have assisted families with parenting plans and made recommendations to the court; as a therapist in private practice, I now have the opportunity to assist clients with parenting plans, starting where the clients are, and focusing on child-centered plans.